I've been surprised to see the reaction the game got. It looked neat to me during the NDE, but I definitely did not expect the diffuse positive word of mouth I've been seeing. What's surprised me most of all, though, is that the game and concept seem to be igniting imaginations everywhere for fan art, so here are some of my faves. Post (or draw) your own! 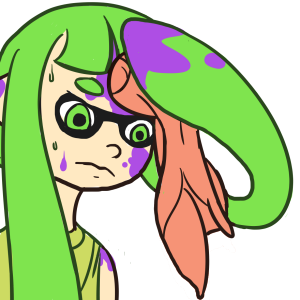 ETA: I didn't think I was going to have to say this, but based on a post that's been made I'm going to have to, so: as always, please keep anything NSFW out of this thread. I love this one the best. 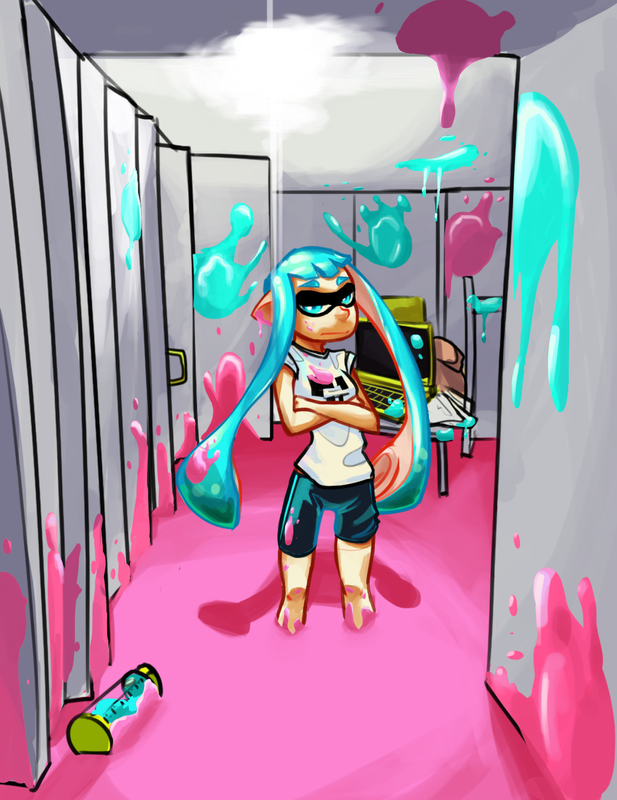 I'm glad, Splatoon is awesome. 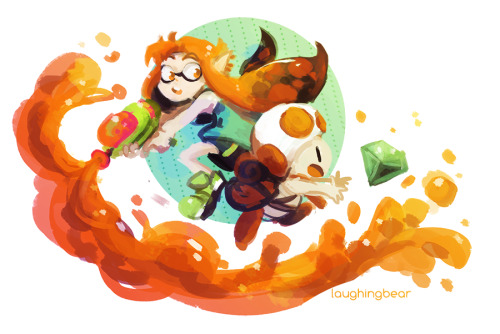 The ALBW x Splatoon comic is too cute. Seems like this IP is off to a good start already. new best selling new IP incoming? Amazing. It started with zero hype, then turned into one of E3 favorites. Hoping this game develops quite well. She needs to be added in the game! *Second picture is not by Mashiro Anbe. 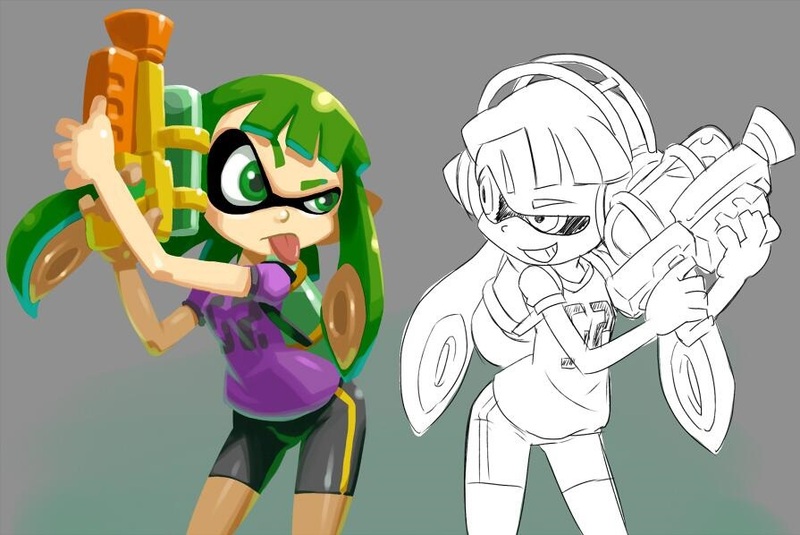 incoming Powerpuff Girls DLC skins for Splatoon. Yeah, I really like it too. That's an absolute shitton for something revealed a few days ago. I'd like it if we could keep this thread SFW thanks. 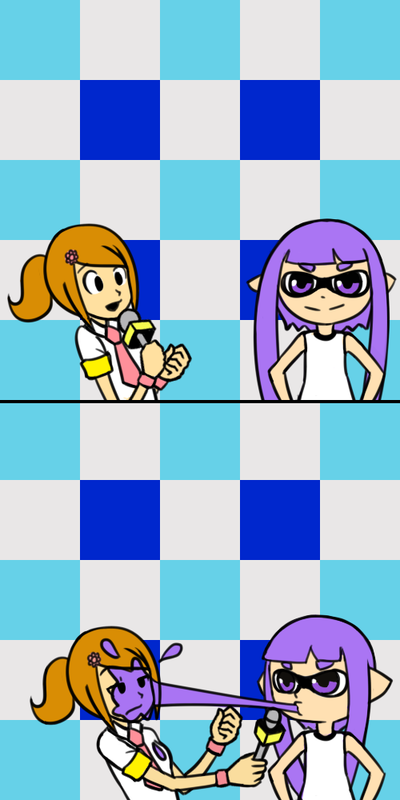 Anyway, I need Ika Musume to be in this. It just feels natural that the creator would like this. Holy crap! Today's real megaton is that more than two people can have the same first name. Edit: Beat to the punch. 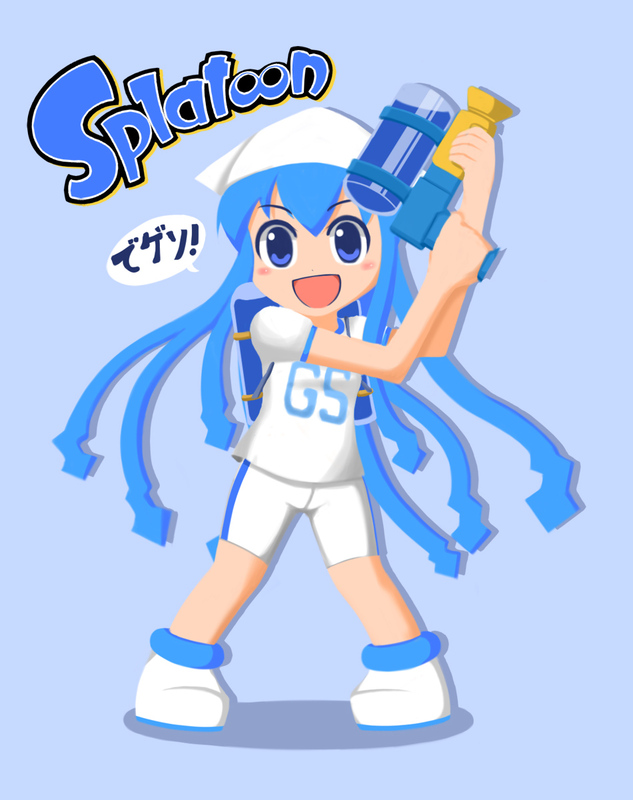 I was waiting for a Squid Girl reference! 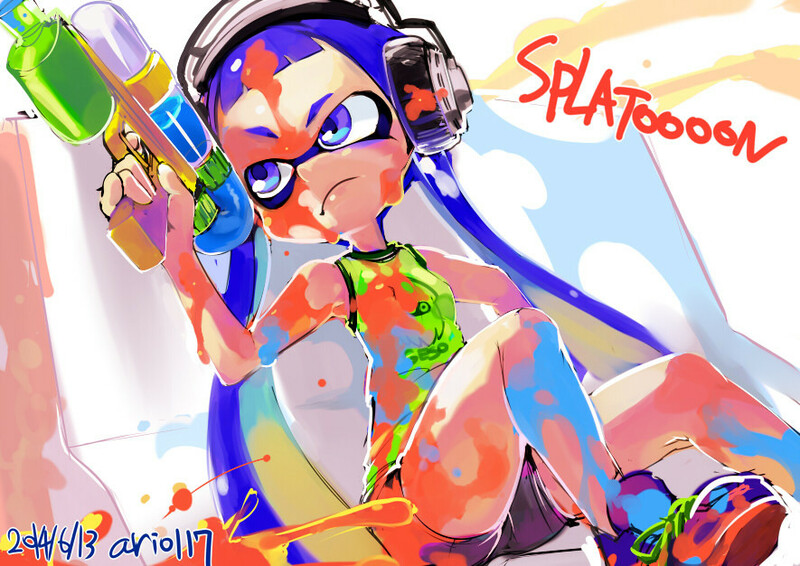 I so desperately want Splatoon to be considered esports, with livestream events and everything. I'm completely serious. Game looks hype as hell. 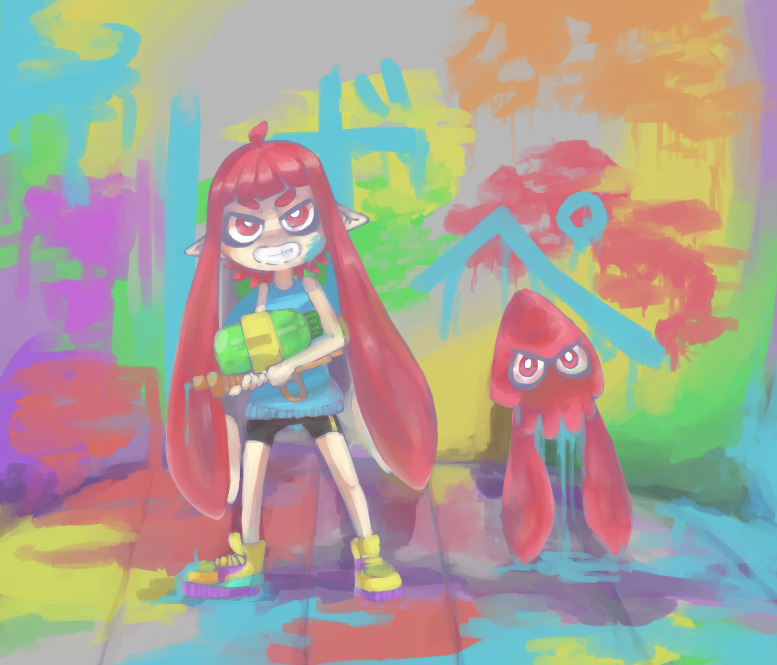 EDIT: I also think there needs to be more Splatoon x Kill la Kill fanart. These are adorable. Good stuff. People are already finding advanced techniques, so maybe it will! I'm totally up for playing this game competitively if it takes off. I really want this game to take off, it looks REALLY fun. Hope to get some GAF games going when it comes out! 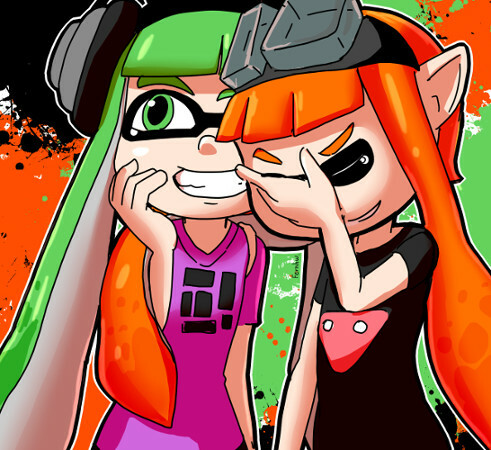 Seriously, if this is the stuff the newer staff at EAD are making, then Nintendo's future is bright as far as I'm concerned. Ok this was pretty good. 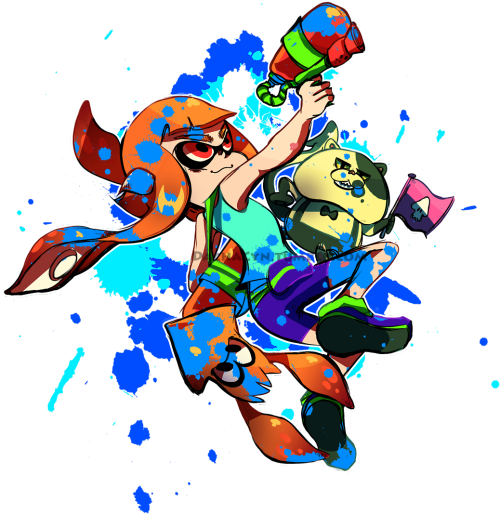 I wish he was an assist trophy is Smash. Oh well, maybe Dillon will be promoted to playable in 6 years, and Nomad will take his place as an AT. Did I miss something with this characters in this? That one image sure looks a lot like Lady Satsuki from Kill La Kill. I really should have gave this more time at the show. The buzz is insane. 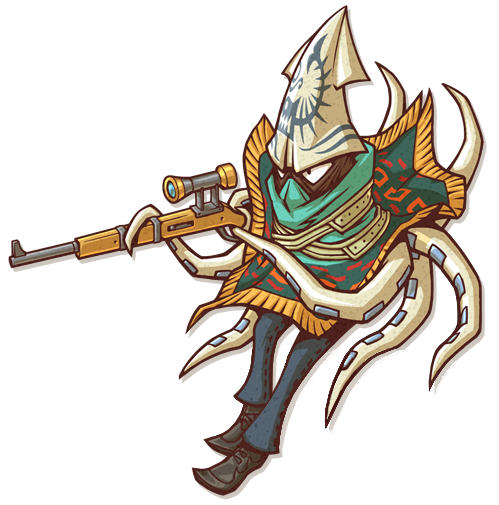 They should have a Squid Billy skin. Then they would have my money. That is Satsuki. 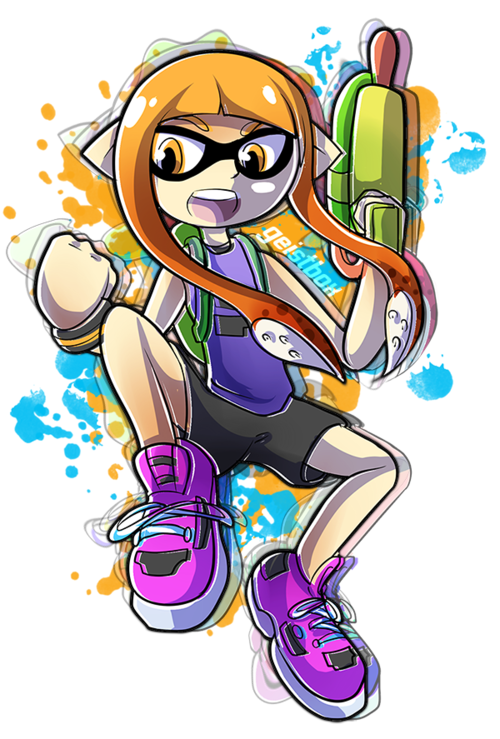 It's fan art of her as an Inkling. That image is a crossover. Satsuki sadly is not in this game. i am seriously interested on where this game is going. may be the only game so far that got my attention. 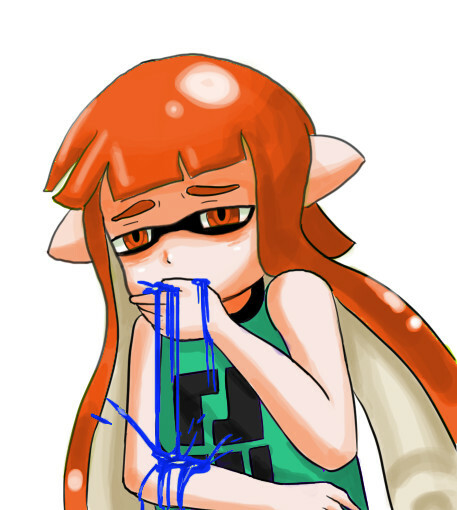 and rule 34 is too bloody fast now. 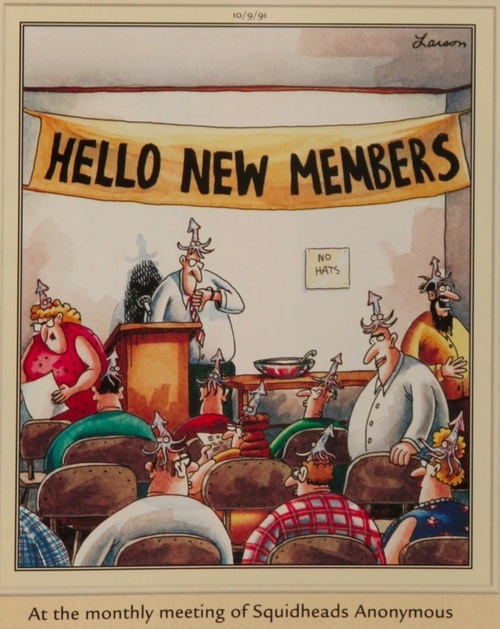 Just found this one. Pure awesomeness. 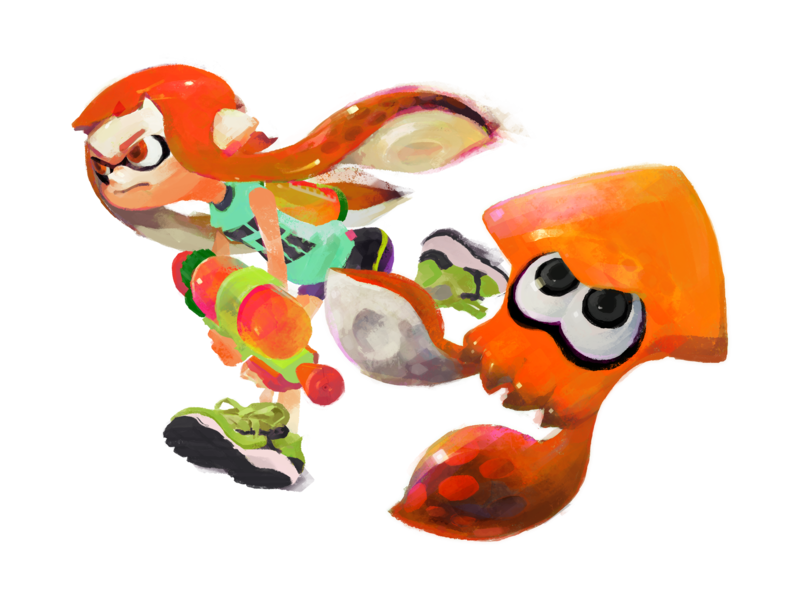 Can't wait to play as her in Smash 5. 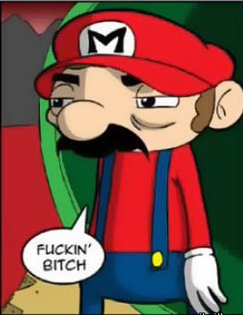 It's funny, I was thinking a bit after this got revealed that if you told me Nintendo showed this off real early only to rework it as it being a multiplayer Sunshine spin off with a bunch of Mario characters, I wouldn't be surprised. I love this new era of colorful shooters. This + SSO look really nice. 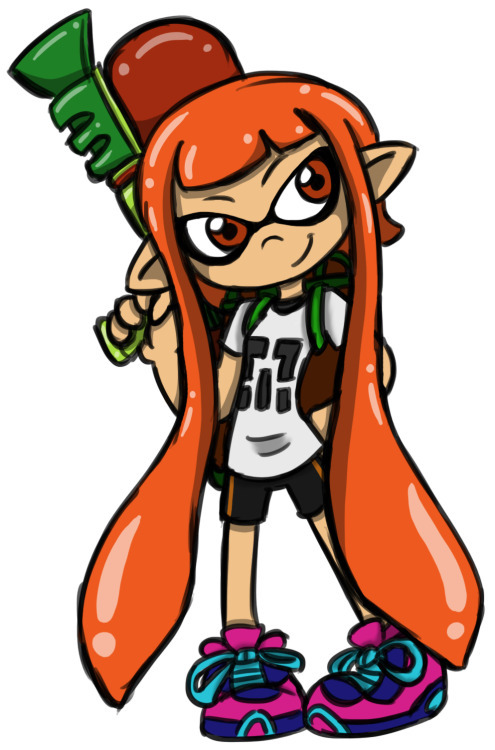 The player characters in Splatoon look like a mix of elves and squids, now that I've seen more of all the art in here. Lmao at the Zoidberg that managed to sneak his way into the OP collage. The best one. Also, I need to watch Platoon again sometime. 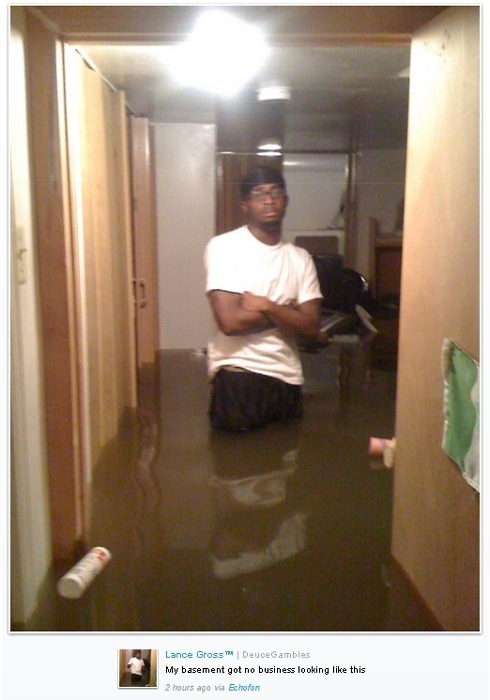 If /v/ is good for anything, it's this. 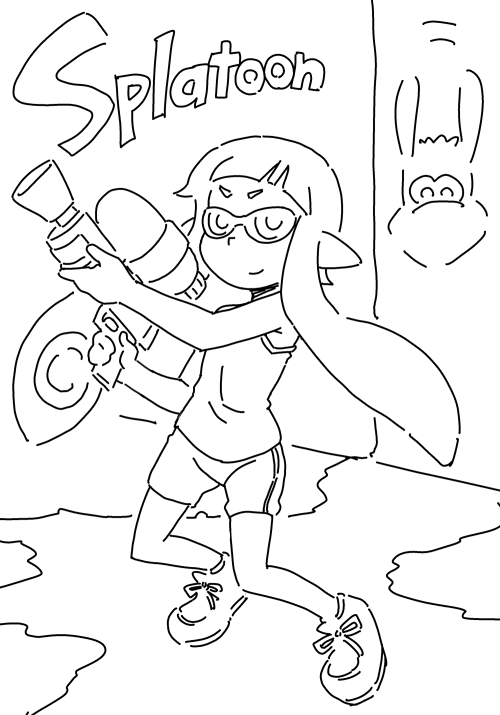 This was the first thing I thought of too, the Platoon thing. 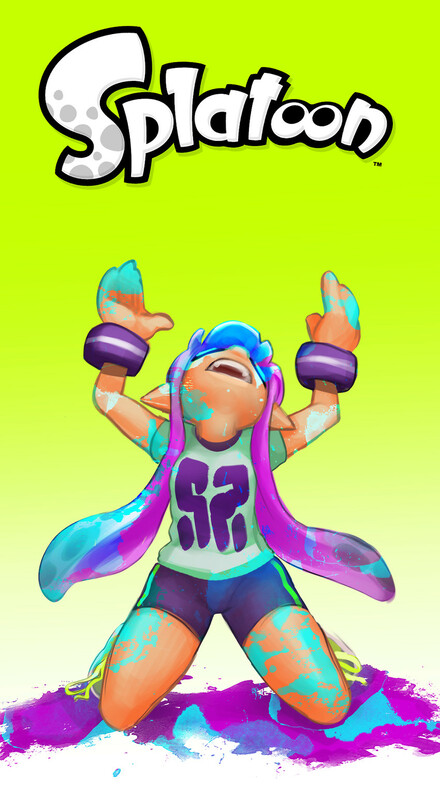 Of course, you know when a game is announced and you see new characters and what not, the fanart is going to flow like water.